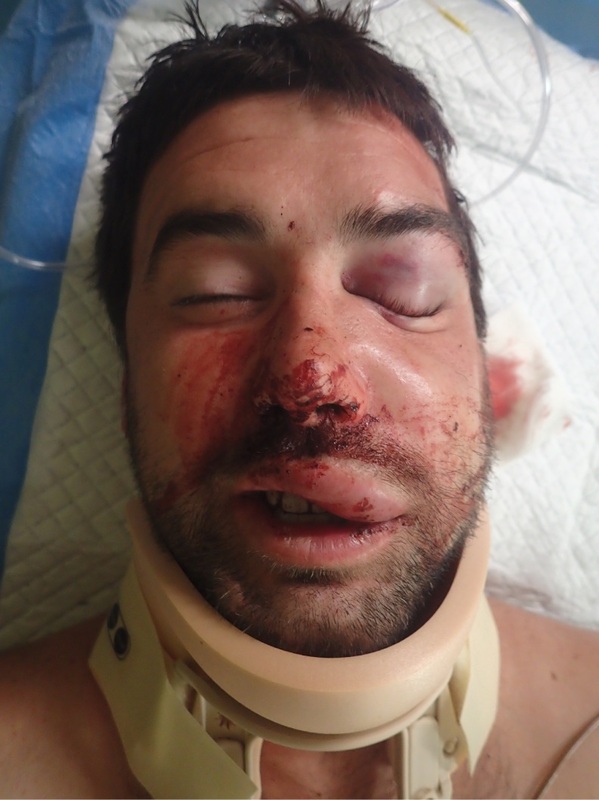 POLICE have released an image of a man’s facial injuries after he was beaten in Joondalup on Friday. The 25-year-old man was one of six people involved in an altercation between two groups of men about 11.50pm outside Lakeside Joondalup on Boas Avenue. Two of the men fled the scene, leaving the victim with a broken jaw and eye socket. Police have also released a video (below) showing two men entering from the left of screen – one wearing a grey shirt, the other wearing a light jacket. They wish to speak with these men.